Fentress recently visited the Southern District of New York to assess existing facilities and project future space needs for federal courthouses in New York City (Manhattan), White Plains, and Poughkeepsie. The original District of New York first held court in Manhattan in November 1789, the first court to sit under the new U.S. Constitution. Court has been held continuously in New York City since that time. The present-day Southern District of New York is one of the largest federal courts in the nation; it regularly handles high-profile trials involving well-known litigants, suspected terrorists, large corporations, and complex civil matters. District Court proceedings are held in both the Daniel Patrick Moynihan U.S. Courthouse and the Thurgood Marshall U.S. Courthouse, both located in the Foley Square complex in Lower Manhattan. Completed in 1994, the Moynihan Courthouse serves as the District Court headquarters and is the second-largest federal courthouse in the nation. The Marshall Courthouse was originally completed 1936 and recently underwent a major renovation (see below). The Bankruptcy Court is located in the Alexander Hamilton U.S. Custom House, a National Historic Landmark originally completed in 1907 and located near the southern tip of Manhattan. Concurrent with our work in the Southern District of New York, Fentress is also assessing space needs for the U.S. Court of Appeals for the 2nd Circuit. 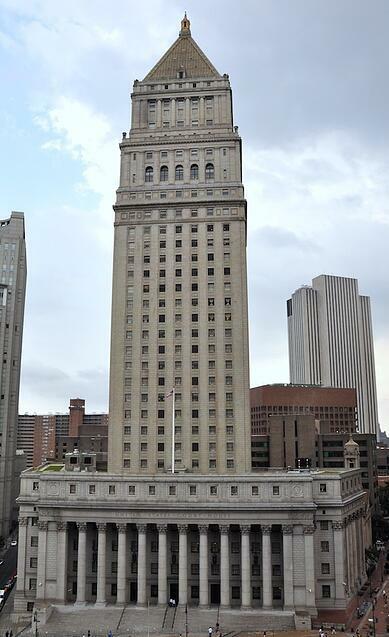 One of 12 federal appellate courts, the 2nd Circuit covers six judicial districts located in New York, Connecticut and Vermont. The Circuit is headquartered in the Thurgood Marshall U.S. Courthouse in Manhattan. The main hall of the Marshall Courthouse resembles the main hall of the U.S. Supreme Court, which architect Cass Gilbert designed at nearly the same time. The Marshall Courthouse underwent a comprehensive renovation between 2006 and 2013, during which circuit operations were temporarily housed in the Moynihan Courthouse. The renovation included modernization of building systems and upgrades and restorations of the façade and numerous noteworthy interior spaces.